It seems that we are now moving from X11 and X13 to X15 as a few coins have already been launched or will be launched soon using the new X15 algorithm, so you need a new GPU miner in order to be able to mine them. 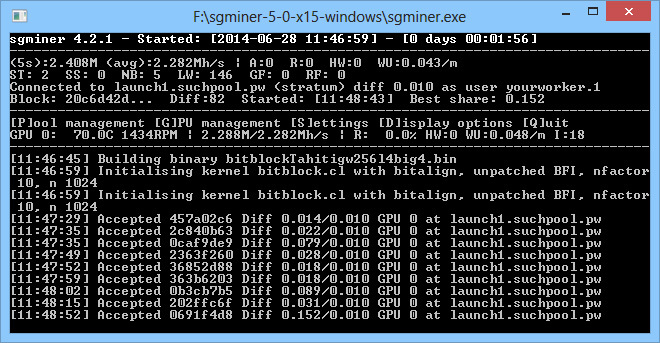 Fortunately there is already a X15-capable fork of sgminer 5.0 beta available (source). 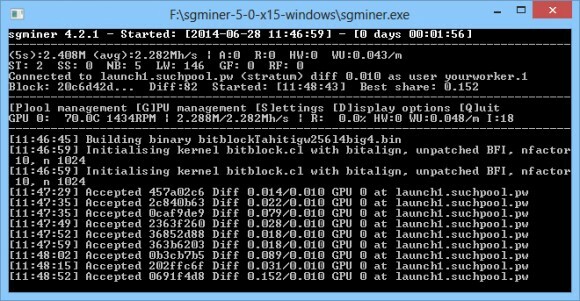 We have compiled a windows binary that you can download and try below, our tests on an AMD Radeon R9 280X GPU have shown a hashrate of about 2300 KHS, so the performance is quite good when you consider that there are more algorithms in the X15 than in X13 and X11, so lower performance is to be expected.